354 pages | 36 B/W Illus. Education involving music is a multifaceted and ever-altering challenge. As new media, technologies, and pedagogies are developed, academics and practitioners must make sure that they are aware of current trends and where they might lead. 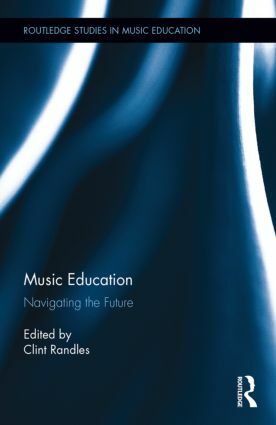 This book features studies on the future of music education from emerging scholars in the field. These studies are then supplemented by commentaries from established leaders of the music education community. Music Education covers topics such as music and leisure, new forms of media in music teaching and learning, the role of technology in music learning, popular music tuition in the expansion of curricular offering, and assessment of music education research. As such, it is an excellent reference for scholars and teachers as well as guide to the future of the discipline. "Comprised of twenty-two outstanding articles deftly organized into five major sections, Music Education will prove ideal for supplemental reading lists in the field of Music Education and a core addition for Music Department and Academic Library reference collections." "This text provides a unique group of voices providing important questions and suggestions for us to consider as we collectively reconsider our future of music education." Clint Randles is Assistant Professor of Music Education at the University of South Florida, USA. This series is our home for cutting-edge, upper-level scholarly studies and edited collections covering Music Education. Considering music performance, theory, and culture alongside topics such as special education, multicultural education, music therapy, policy, pedagogy, community, and technology, titles are characterized by dynamic interventions into established subjects and innovative studies on emerging topics.